When an autonomous car causes a crash in the future, the legal system will likely shift the focus in personal injury lawsuits away from drivers, relying more on the legal theories of products liability. It’s still uncertain how the legal system will respond when the vehicle causes an accident but may shift liability to the manufacturers of the vehicle. However, the response must be aimed at ensuring the injured are adequately compensated and manufacturers continue to design and sell safer products. Fully autonomous vehicles will likely not have an accelerator, steering wheel, or any other form of human control. This eliminates the possibility of human negligence. Therefore, manufacturer liability would be the focus points in injury cases when an autonomous car causes a crash. When it comes to autonomous vehicles, the existence of an anomaly may be more difficult to identify given the catastrophic nature of automobile accidents. 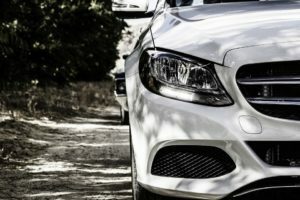 It may be difficult for a plaintiff who’s been injured by an autonomous vehicle to prove the existence of a manufacturing flaw if the evidence is destroyed at the scene. Drivers often over-rely on technology when operating partially autonomous vehicles, failing to be prepared to offer human intervention when needed. As an increasing number of semi-autonomous vehicles take to the roads, warning adequacy may become an important factor in litigation. Recently, autonomous vehicle accidents caused the deaths of Joshua Brown and Gao Yaning. Brown was the first person to die in an autonomous car crash when his Tesla Model S ran under the trailer of a semi-truck. Gao Yaning was killed after his Tesla Model S slammed into a street sweeper. In both cases, the attorneys can argue that the autopilot systems were incapable of completing certain maneuvers and the drivers were not aware that they ought to remain alert and be prepared to take control in an emergency.